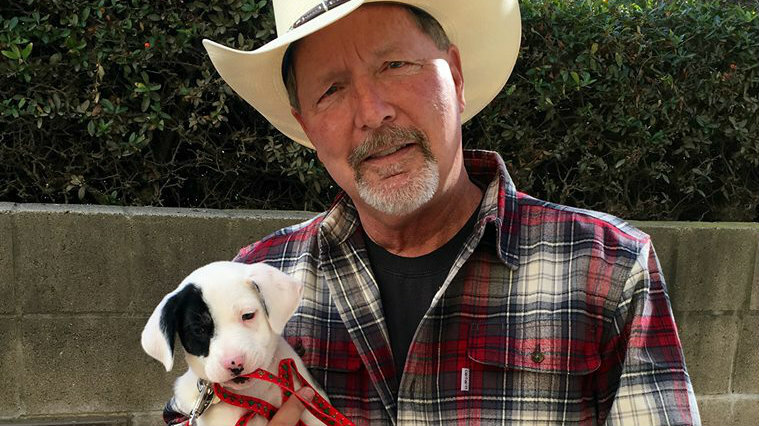 The 3,000th pet to be adopted this year at the Helen Woodward Animal Center was a border collie/Labrador retriever mix that went to Poway Mayor Steve Vaus. According to the center, the 2-month-old canine and Grammy Award-winning musician-turned-city leader met on a local television morning show. Vaus was there to publicize an annual fundraising concert that benefits Rady Children’s Hospital. Vaus advocates for pet adoptions. He already owns an adopted horse, cat and chicken, according to the animal center. “Pets bring families together, force us to slow down, give us lots of laughs — but most of all they give us a chance to make sure they know they are loved and well-cared for,” Vaus said. According to the animal center, Vaus appointed the canine — named Sleigh — to be Poway’s first dog, or chief wagging officer.